From the Round Mountain Mine in Nevada, this gold crystal specimen is a spectacular mass of gorgeous gold crystals. There is a mass of octahedrons as well as trigons, some fine vertical gold wire nubs and striated gold crystals, and even a couple of hoppered octahedrons. 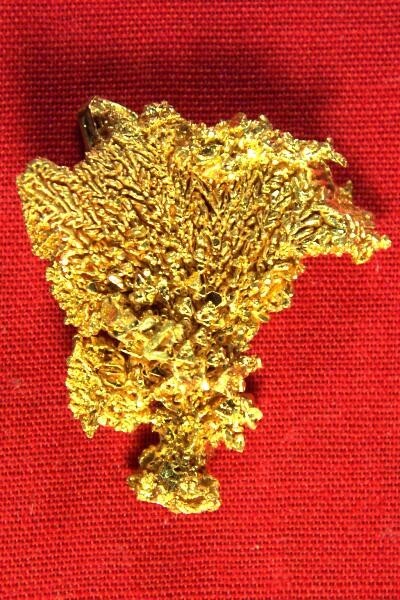 It is not often that you see such an awesome gold crystal specimen for sale. 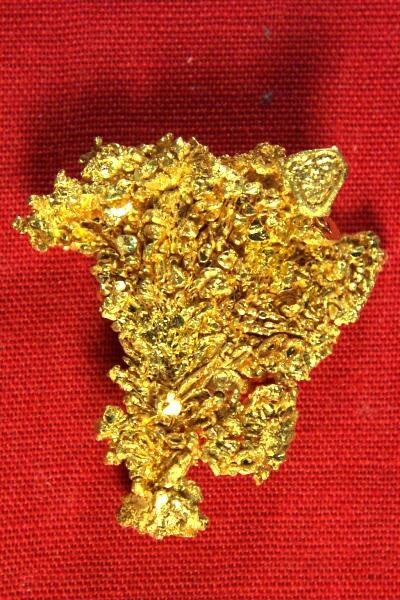 This gold specimen is 1" x 1" x 3/16" and it weighs 9.1 Grams (140 Grains). It comes with a plexiglass holder for displaying. You will not believe the intricacy of the mass of gold crystals in this specimen.